From its inception the Chemistry Research Foundation has been able to rely on the support of its founders: the University of Strasbourg, CNRS, BASF France and BRUKER France. The University of Strasbourg’s merging of three institutions was pioneering, and it now has one of the biggest student bodies and faculties in France. The University is renowned for its cutting edge innovative research, which earned it a place as the number one in Europe in the last Nature Index. 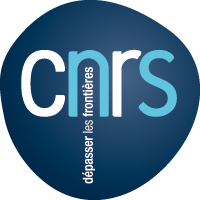 With CNRS, it has celebrated three Nobel Prizes in five years: an acknowledgement from the international community of its long history of excellence, which is unrivalled in France or the Upper Rhine region. This multidisciplinary institution gives biologists, chemists and physicists the chance to work hand-in-hand to rise to the challenges facing the world today. In the field of health, researchers are working to help patients by finding effective treatments fast; their frequent interactions with hospital doctors are vital to furthering their research. Technology transfer has been an integral part of the University’s DNA for over 40 years! With 21 Nobel Prize winners and 12 Fields Medal winners, CNRS has a long tradition of excellence. Every year CNRS awards its Gold Medal, considered to be the highest distinction in the French scientific community. Notable CNRS Gold Medal winners include Jules Hoffmann (2011), Jean-Marie Lehn (1981) and Pierre Chambon (1979), and each of them has had an exceptional impact on the dynamism and reach of French research. Their respective histories, and their geographical and cultural proximity, have ensured that Strasbourg’s research communities and BASF have always had strong ties. These ties were strengthened when a BASF laboratory was set up in 2003 at ISIS (Science and Supramolecular Engineering Institute), which was founded by Jean-Marie Lehn. In just a few years this laboratory became a linchpin of the BASF global research programme known as JONAS (Joint Research Network on Advanced Materials and Systems). BASF develops close relationships with scientists and their laboratories in numerous countries around the world. This scientific partnership is the only one of its kind in France for BASF and is part of a wider partnership scheme with the University of Strasbourg, which is also a University of Excellence. BASF is one of the founding members of the Chemistry Research Foundation – the company has invested €1.5 million since the foundation was founded in 2006. The aim of these partnerships in the long term is to facilitate contact with the academic research community and to help develop centres of excellence for French chemistry. Bruker France is one of the main sister companies of the European group Bruker and is the undisputed leader in analytical instrumentation. . The Bruker Group designs, creates and implements complete analytical solutions employed for a number of scientific uses: life sciences, biotechnologies, proteomics, clinical proteomics, quality control, basic research and materials science. Bruker systems cover a wide range of applications in all areas of R&D and are used in all industrial manufacturing processes to guarantee quality and reliability. Their substantial range of solutions, products and services has given rise to a considerable number of installed systems and earned them their excellent reputation. To meet an ever-increasing demand, Bruker is continuing to develop cutting edge technologies and innovative solutions to answer the numerous analytical questions of today and tomorrow.